How do you imagine the interior of our cells? Often compared to tiny factories, cells found smart and sophisticated ways to organize their 'interior'. Most biological processes require cells to bring together their 'employees', such as proteins and nucleic acids (like DNA), at the right time. 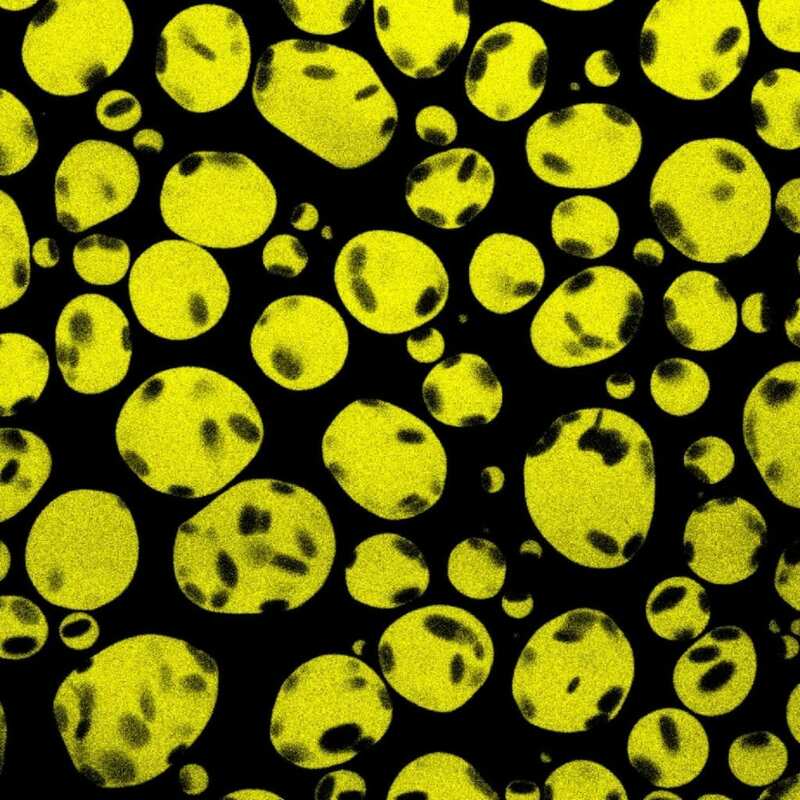 Scientists at the Center for Soft and Living Matter, within the Institute for Basic Science (IBS, South Korea), have explained how liquid-like droplets made of proteins and DNA form in vitro. Currently, there is a huge interest in understanding the molecular mechanisms behind the creation of such droplets, as it is linked to some human diseases, such as amyotrophic lateral sclerosis (ALS). The results, published as a featured article in Biophysical Journal, showed how much the sequence of DNA matters in the formation of such droplets. In the same way as walls divide a factory into departments, the cell has lipid membranes to divide its space into organelles. However, in the past 10 years, scientists have realized that some cellular compartments that are not enclosed by membranes, also known as membrane-less organelles, behave like dense liquid droplets. A bit like a team of people meeting up in an open space office to carry out a job, these are dynamic assemblies with specific tasks. However, how are these membrane-less organelles assembled, and are they influenced by their content is still unclear. To answer some of these questions, IBS scientists tested how different sequences of DNA form droplets with a simple protein made from a single repeating amino-acid; lysine (poly-L-lysine). The two have opposite charges so they attract each other, but are still able to remain in solution. The IBS team compared double- and single-stranded DNA. Double-stranded DNA is twisted into a helix like a spiral staircase. Each step of the staircase is made by two bonded nucleotides: adenosine with thymidine (A-T) and guanine with cytosine (G-C). Because of its helix structure, double-stranded DNA is quite stiff, and is often modeled as a rigid rod. In contrast, single-stranded DNA – half of the staircase in the vertical direction, with unpaired nucleotides – is more flexible. "It was a frustrating time about two years ago, when we wanted to form a model droplet system containing double-stranded DNA and poly-L-lysine," recalls Anisha Shakya, the key contributor to the study. "The two kept on aggregating and getting precipitated. On the other hand, single-stranded DNA formed droplets easily." This result, though frustrating at first, led Shakya to search for a deeper explanation. The two IBS researchers involved in the study found that even when the overall electric charge between two DNA molecules is the same, the DNA sequence ultimately determines the stability and appearance of the liquid-like droplets. "As the rigidity of DNA molecules can be slightly tuned depending on its nucleotide sequence, we compared DNA molecules with the same change density, but different sequence," explains John T. King. For example, single-stranded DNA with only T's was able to form droplets more readily than single-stranded DNA with only A's. The reason being that poly(T) is more flexible than poly(A). In concert, double-stranded DNA rich in A's and T's is known to be more rigid than a poly(GC) and required the addition of more salts to obtain droplets. The team also demonstrated that adenosine triphosphate (ATP), which typically acts as a fuel source in cells, facilitates the formation of liquid-like droplets. Mixtures of poly-L-lysine and double-stranded DNA, which would typically precipitate at low salt concentrations, readily formed stable liquid-like droplets in presence of ATP. This is a perfect platform to examine how the flexibility of nucleic acids affects liquid-liquid phase separation. "The most fascinating part is to imagine how cells may take advantage of this sequence-dependent information to guide and regulate liquid-liquid phase separation in vivo," concludes Shakya.